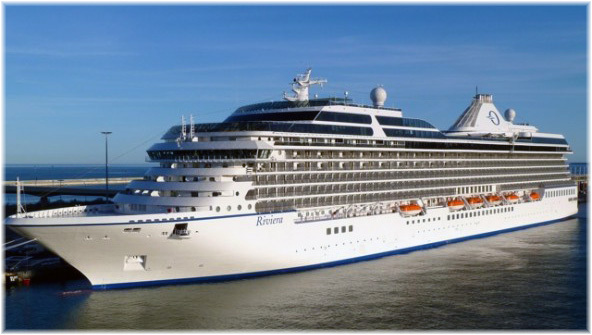 Last week came the news that Regent Seven Seas Cruises had finally ordered its long-anticipated fourth ship, a 738-berth 54,000-tonner that will have a passenger space ratio of more than 73 gross tons per passenger. This compares to the new record of 80 tons per passenger on Hapag-Lloyd Cruises’ Europa 2, introduced this May. Elsewhere, Queen Mary 2 completed her 200th North Atlantic crossing this weekend and has now carried about 500,000 Transatlantic passengers. 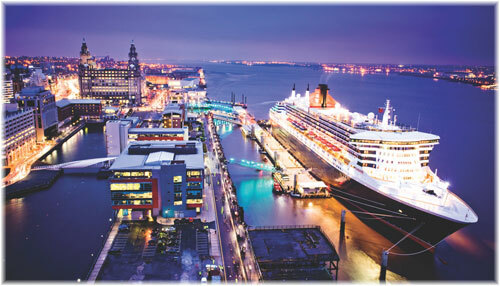 Meanwhile, MSC Cruises will double its ex-UK presence in September 2014 with the addition of the MSC Magica to the UK-based MSC Opera and has announced a new UK boss. Cunard Line’s flagship Queen Mary 2 completed her 200th North Atlantic Crossing on Saturday, when she arrived at Southampton from New York, from whence she had sailed on Saturday July 6. Queen Mary 2 is the largest, longest, widest and most expensive ocean liner ever built, and is now the only ocean liner in regular service. On board for the voyage were keynote speakers presenting talks about the ship, as well as special Big Band performances. In the course of Queen Mary 2’s 200 Transatlantic Crossings, Cunard Line has now carried half a million Transatlantic passengers in her. To commemorate her 200th Crossing, Stephen Payne OBE, who was responsible for the overall design of Queen Mary 2, presented his own insight into the ship’s construction. MSC will temporarily double its ex-UK fleet next year when it bases its MSC Magnifica in Southampton for a short series of cruises from September 2014. 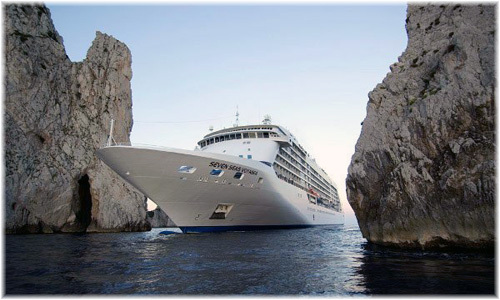 The 86,600-ton, 2,550-passenger Magnifica will join the 58,600-ton, 1,756-passenger UK-based MSC Opera. The Magnifica will offer four seven-night, round-trip cruises departing from Southampton and calling at Zeebrugge, Amsterdam, Hamburg, and Le Havre, with fares starting at £429 per person including free parking or coach transfer to Southampton. MSC’s announcement comes as it confirms Carnival UK’s former head of sales Giles Hawke will be joining MSC line this November as managing director UK and Ireland.